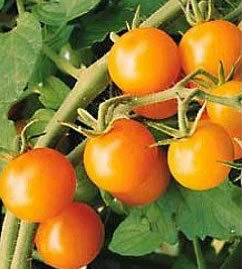 Finally, it’s time to plant tomatoes. So many of you have asked me in the past couple of weeks if it’s still too early…..so I checked in with tomato expert Wally Prestbo, a.k.a. Mr. Tomato. Wally advises it all depends on the soil temperature, which should be above 50 degrees, and preferably over 55 degrees. “I will be planting tomatoes at the Bellevue Demonstration Garden and my house this week,” Wally emailed…” My rule of thumb is to plant about the middle of May”. (For an excellent discussion of last frost dates, along with some tomato suggestions, see the latest edition of Loghouse Plants Garden News).